Reflect with those in your family. Share and discuss them with other parents or another family. Use them in a Parent Circle that meets on Sunday afternoon or mid-week. “Between 2008 and 2016, the United States deported more than three million people. What happens to those left behind? Journalist Duarte Geraldino picks up the story of deportation where the state leaves off. 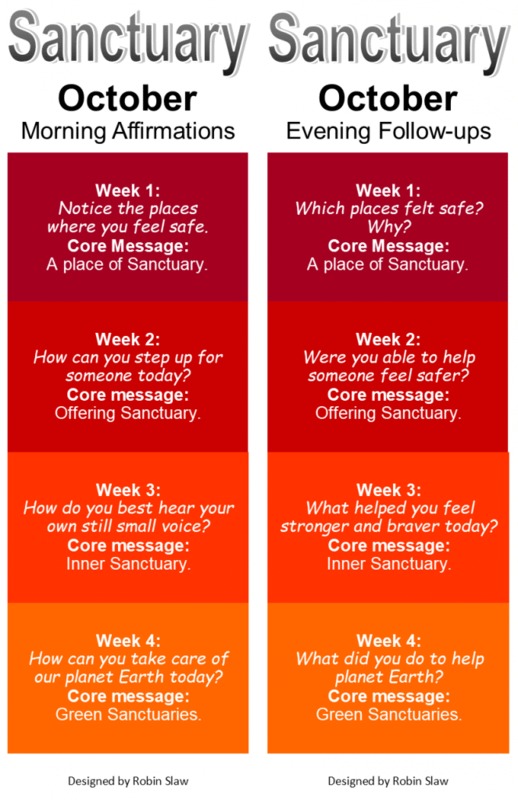 Learn more about the wider impact of forced removal as Geraldino explains how the sudden absence of a mother, a local business owner or a high school student ripples outward and wreaks havoc on the relationships that hold our communities together.” – TED A background for why UU Churches consider offering sanctuary. We need to look at the bigger picture. “Spiritual Places combines awe-inspiring photography and memorable narrative to tell the stories of the holiest temples and ancient ruins, the most hallowed churches, and the places of ancient power. Each location has been handpicked for its breathtaking scenery and its uniquely humbling qualities. Spanning every continent on the planet—from the Mayan pyramids of Chichen Itza in Mexico, through the Carnac stones in France, and on to the idyllic ancient temples of Angkor Wat in Cambodia—acclaimed travel writer Antony Mason has carefully selected the most uplifting places the world has to offer. One of the lenses for the theme of sanctuary is as a place of worship. What are secular and humanist parents to do when sanctuary has overtones of Christianity? Be aware that this movie is not appropriate for young children. From ArgoFilm’s “The Urban Elephant” comes the touching story of Shirley and her keeper, Solomon James. Trapped in a man-made world, Shirley’s life at the Louisiana Purchase Zoo was a lonely one, bereft of the company of other elephants. Follow Shirley and Solomon through a life of captivity to release in the Tennessee Elephant Sanctuary. This two-time Emmy Award winning film was produced for PBS’s Nature Series. Regular Meetings Resume This Sunday!